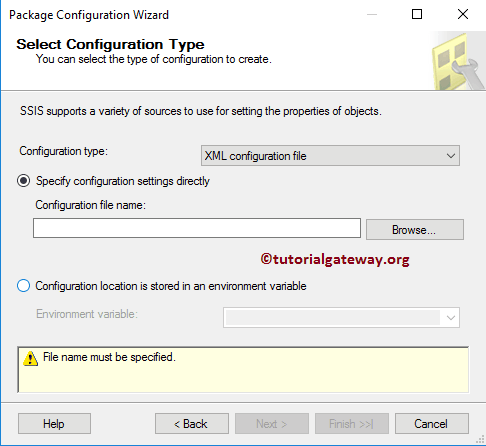 In this article we will show you, How to apply SSIS Package Configuration using XML Configuration File stored in an environment variable with example. 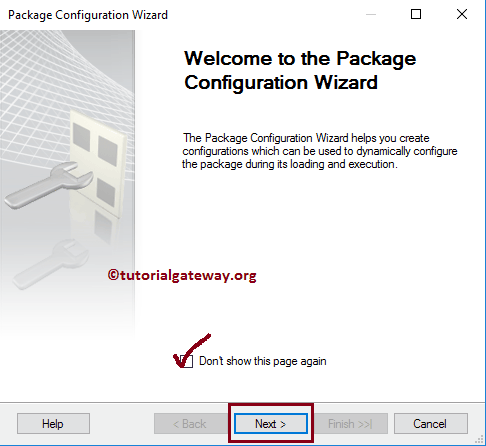 We already explained the list of Package Configurations in our previous article. 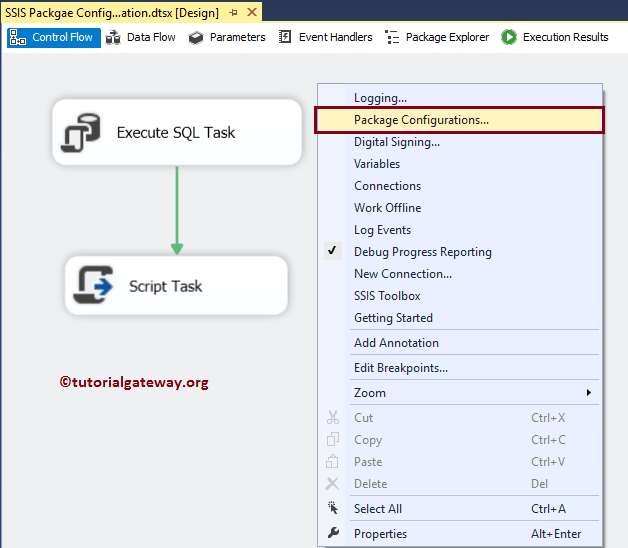 So, please refer SSIS Package Configuration to understand the same. 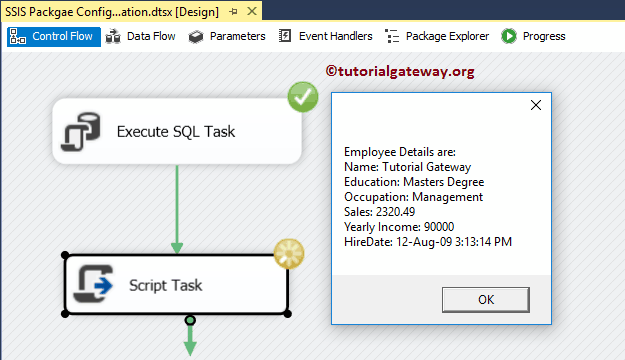 This is very useful approach while we deploying the project. 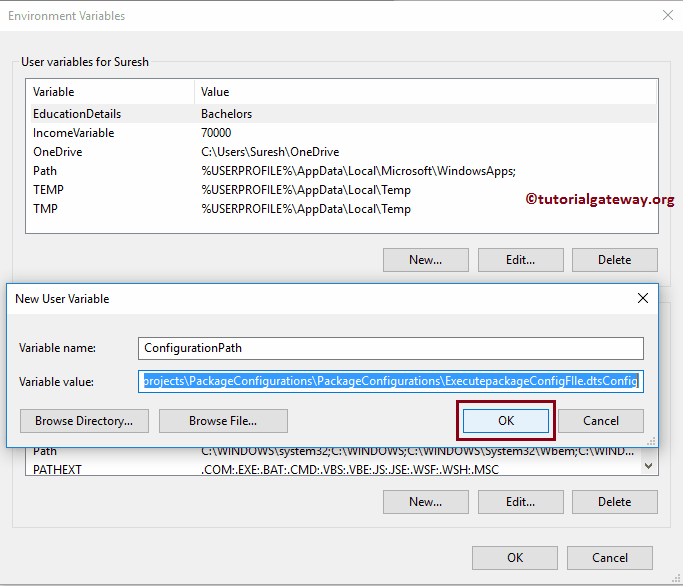 Because, you can save the configuration file at the client location, and create an environment variable point to that file. That’s all you have to do. 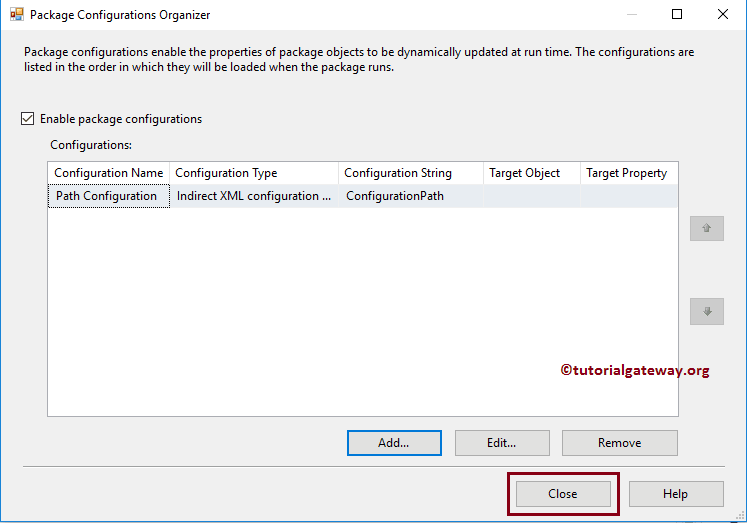 Before we start the package configuration, You have to create environment variable. 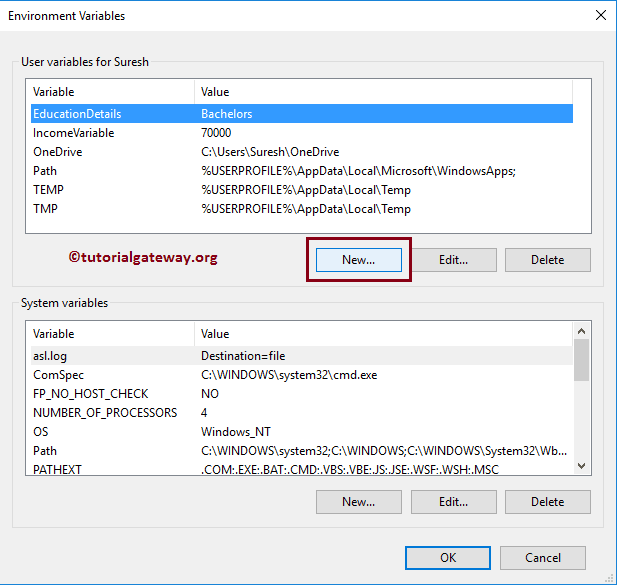 We already explained the step by step approach to create an environment variable in our previous article. 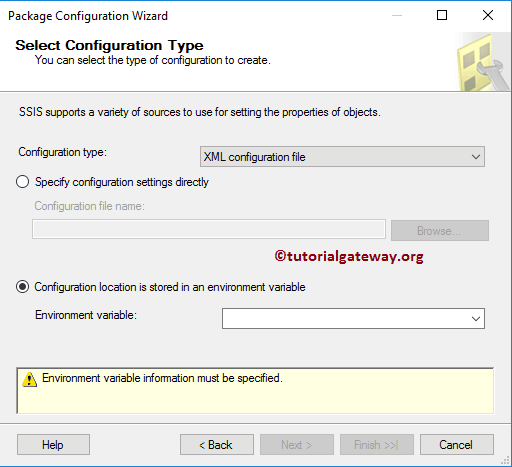 Please refer SSIS Package Configuration Using Environment Variable to understand the same. 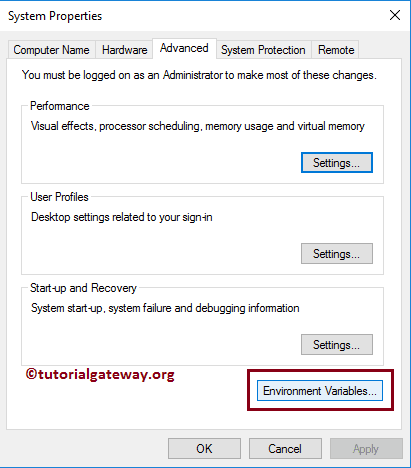 In order to add new environment variable, please click on the Environment variables.. button. 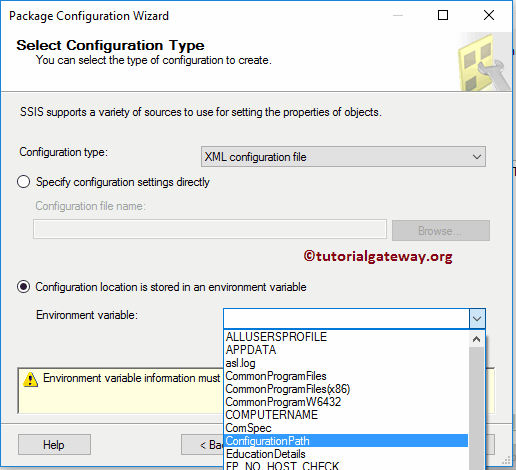 Select Configuration type: Here, we have to select the configuration type. 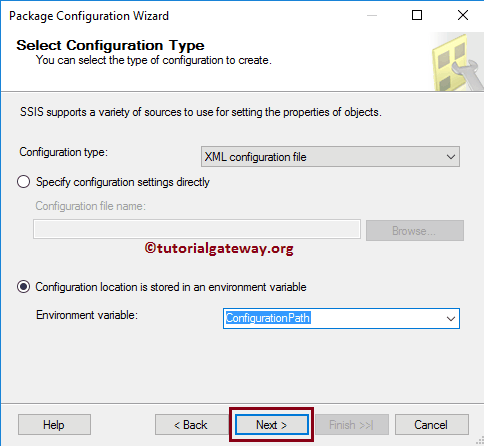 By default XML configuration file is selected by the SSIS so, you don’t have to do anything. 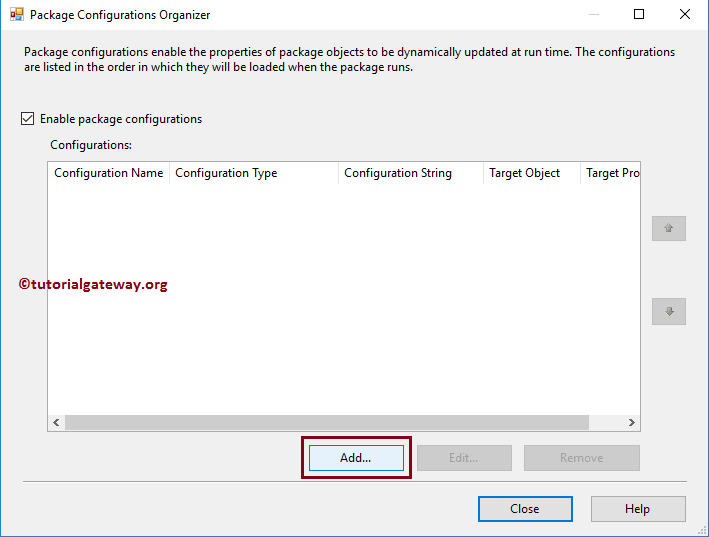 As you can see, we are selecting the Configuration Path variable. 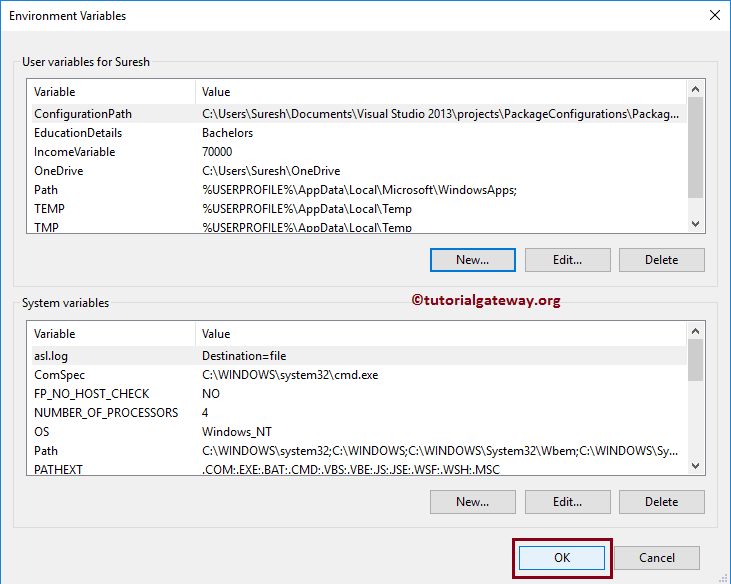 Remember, if you don’t find the newly created variable, please close the projects, and reopen the BIDS. 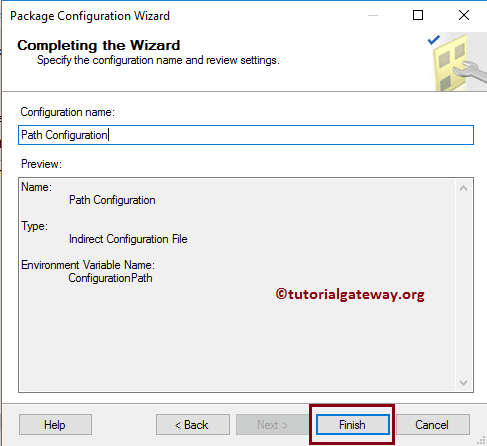 Now you can see our newly created Path configuration that holds the connection string information inside the Environment variable.